scientists and educators work with hundreds of partners, pointing the way forward to secure a healthy, blue planet well into the future. We work collaboratively to reduce the impacts of climate change, together with other environmental threats, through nature-based solutions that benefit wildlife and people. For more information please see From Point Reyes to Point Blue as well as our first Point Blue Quarterly. You might also enjoy viewing our inspiring ~6 minute video introducing Point Blue that includes partner and staff highlights as well as a brief congratulatory video from Congressman Jared Huffman (CA-2). Our new website, www.pointblue.org, is under construction through mid-September. Until then, our existing website, www.prbo.org, will remain active. In the 1930s, the Dust Bowl ravaged crops and helped plunge the U.S. into an environmental and economic depression. Farmland in parts of Texas, Kansas, Nebraska and the Dakotas disappeared. After the howling winds passed and the dust settled, federal foresters planted 100 million trees across the Great Plains, forming a giant windbreak — known as a shelterbelt — that stretched from Texas to Canada. Now, those trees are dying from drought, leaving some to worry whether another Dust Bowl might swirl up again. In Western Oklahoma water is scarce, but rains often cause flooding. The ground is baked by searing heat, and raked by blizzards and ice storms. This environment has always been tough for farmers, who struggle to make the soil submit and stay near the ground. Back in the ’30s, a combination of severe drought, overgrazing, and extensive plowing had rendered the ground rootless, loose and bone dry. Without anything to anchor it down, the dirt raged in dust storms dubbed “black blizzards.” Hundreds of thousands of families fled their dust-shrouded farms to more livable lands. In response, President Franklin D. Roosevelt’s administration decided to plant a 1,000-mile line of trees, and the national shelterbelt program was born. The idea was simple: A giant windbreak would shield crops, and prevent erosion. Landowners filled out an application, gave up a few acres of land, and agreed to maintain the trees. The federal government did the rest. State forester Tom Murray says it was an experiment — and it worked. “This used to be a cotton field, if I remember right, looking back at the history,” he says. “And it just blew — it’s sand and it blew. By putting this here, it stopped that south wind from blowing across this field.” Now, drought threatens to sully the experiment’s track record. As Oklahoma weathers a third year of drought, many of the trees that helped save the state decades ago are dying. Husks of trunks line the side of the highway…..
FRESNO, Calif. (AP) — For decades, this city in California’s agricultural heartland relied exclusively on cheap, plentiful groundwater and pumped increasingly larger amounts from an aquifer as its population grew. But eventually, the water table dropped by more than 100 feet, causing some of Fresno’s wells to cave in and others to slow to a trickle. The cost of replacing those wells and extracting groundwater ballooned by 400 percent. “We became the largest energy demand in the region — $11 million a year for electricity just to run the pumps,” said Martin Querin, manager of the city’s water division, which supplies 550,000 residents. Fresno is just one player in a water war that’s quietly being fought underground. Throughout the Central Valley — one of the world’s most productive agricultural regions — farmers, residents and cities have seen their wells go dry. Those who can afford it have drilled deeper wells that can cost hundreds of thousands of dollars. California has few rules governing groundwater. While some basins limit pumping through management plans or court rulings, anyone can build a well and pump unlimited amounts in most of the state. The U.S. Geological Survey has found in much of California — the San Joaquin Valley, the Central Coast and Southern California — more water has historically been pulled out of the ground than was replenished. Climate change and droughts are putting additional pressure on aquifers, said USGS hydrologist Claudia C. Faunt. There also is a recent shift among California farmers to replace row crops such as tomatoes with orchards, which can’t be scaled back in dry times. On the west side of the Valley, massive farms whose surface water deliveries have been severely curtailed to protect fish in the Sacramento-San Joaquin Delta are increasingly relying on groundwater and digging deeper wells. Farmers have also seen wells go dry east of Modesto in the Sierra foothills, where they’ve planted hundreds of thousands of acres of new orchards. They’ve been forced to drill new wells as deep as 800 feet. “There are more straws taking water out of the basin,” said Al Rossini, a third generation farmer from Oakdale. And whoever has the longest straw — and the deepest pockets — is winning. Some small farmers can’t afford to drill deeper. Rural residents who rely on smaller wells for drinking, cooking and bathing are also feeling the brunt. “Our well went dry, and we had to redrill,” said Gerald Vieira, a retired Denair resident. Vieira paid $13,000 this summer for a new well — drilled 200 feet deeper than it had been before. A dozen of his neighbors also bought new wells. Some farmers and urban districts are now trying to find solutions to prevent groundwater overuse. By Sarah Zhang, The Seattle Times Posted: 09/10/2013 10:26:02 AM PDT SEATTLE — Steve Osmek is standing next to a tangle of shrubs and wildflowers, talking about conservation. But every 45 seconds or so, a jet rumbles overhead — drowning out all his words. He’s used to the planes by now. As the resident wildlife biologist at Seattle-Tacoma International Airport, Osmek is in charge of making sure animals play nice with the planes. “If it moves, if it has legs, I’m responsible,” he says. Sometimes, it’s simply a matter of keeping animals out, like the 12-foot fence that prevents coyotes and deer from wandering onto the runways. But it’s more complicated for the airport’s greatest wildlife hazard: birds. Bird strikes cost the U.S. aviation industry $700 million annually, according to the Federal Aviation Administration, and more than 200 people have died as a result of bird-plane collisions in the past quarter-century worldwide. When a flight taking off from New York’s LaGuardia Airport lost engine power after hitting a flock of geese but landed safely in the river in 2009, it was called “Miracle on the Hudson” for good reason. Sea-Tac had an emergency landing of its own in 2002, when a Boeing 737 struck 26 birds. There’s no barrier to put up against birds. Instead, Osmek is talking about conservation biology in a grassy field next to Sea-Tac. Airports are ecosystems despite all the concrete. They’re home not only to planes and trucks but also pigeons, voles, grasshoppers, blackberry shrubs, and even salmon, in the case of Sea-Tac. Managing bird strikes is about creating environments that discourage the hazardous birds, especially ones that flock, like European starlings, or large birds of prey, like red-tailed hawks. That means Osmek is actually responsible for things that don’t move and don’t have legs, either; he also has to think about plants. Inside the airfield, pavement alternates with patches of grass, kept short to discourage rodents or insects that attract birds looking for food. The topsoil is low in nutrition, to prevent grass from growing tall in the first place. And the grass seeds themselves were chosen because they contain a fungus whose taste drives away waterfowl. Around the airfield is a buffer zone of 2,646 acres. Plants with berries, nuts and seeds that attract birds are kept to a minimum. Instead, Sea-Tac plants shrubs with dense cover that discourages nesting. Goats were brought in to mow down the especially pervasive blackberries in 2008, but they were a little too good at their job; they ate all the desirable plants, too. Now the landscaping is done by humans…..
To recover from a bad year, the conditions for the development of the population the following year have to be favorable. Unfortunately, the conditions this spring were not favorable for a rapid recovery. Bird species with larger than average brains have lower levels of a key stress hormone, an analysis of nearly 200 avian studies has concluded. Such birds keep their stress down by anticipating or learning to avoid problems more effectively than smaller-brained counterparts, researchers suggest. Birds in the wild lead a stressful life. Constantly spotting predators lurking in the trees or sensing dramatic changes in temperature is essential for survival, but can leave birds on the edge of a nervous breakdown. Reading these cues triggers changes in the birds’ metabolism, particularly increases in the stress hormone corticosterone. A sharp release of the hormone within 1 to 2 minutes after a cue triggers an emergency response and prepares birds to react quickly to the threat. However, regular exposure to the dangers of the wild and, hence, to high levels of this hormone, has serious health consequences and shortens life expectancy. Not all birds respond to stress in the same way, however, notes Daniel Sol an ornithologist at the Centre for Ecological Research and Forestry Applications in Cerdanyola del Vallès, Spain. He and colleagues have for years looked at the differences between big-brained birds, such as crows and parrots, and those with smaller brains, such as chickens and quails. The former survive better in nature and are also more successful at establishing a community in a new environment. In their new work, they connect brain size to handling stress. 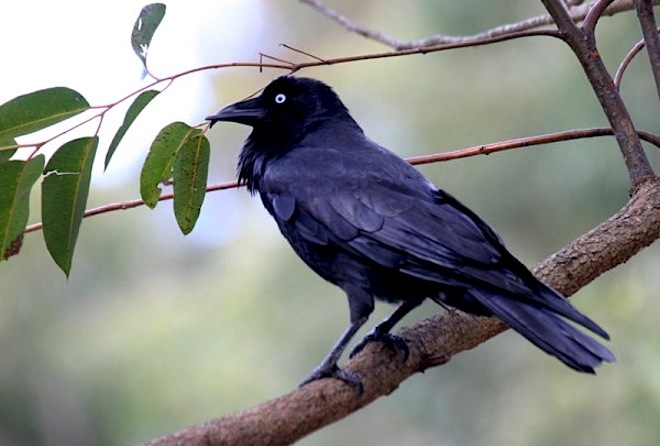 Sol; Ádám Lendvai, an evolutionary biologist at the College of Nyíregyháza in Hungary; and colleagues scoured the avian research literature to find studies that had measured corticosterone levels in birds in varying situations. They found 189 reports published before 2010 with comparable corticosterone and whole brain mass measurements for 119 bird species. The analysis, reported in the Proceedings of the Royal Society B, revealed that birds with large brains have lower circulating levels of the stress hormone, which rise only slightly in response to challenging situations, whereas these values can skyrocket in birds on the opposite end of the “brainy” scale. St Petersburg, Fla. — Acidification of the Arctic Ocean is occurring faster than projected according to new findings published in the journal PLOS ONE. The increase in rate is being blamed on rapidly melting sea ice, a process that may have important consequences for health of the Arctic ecosystem. The team of federal and university researchers found that the decline of sea ice in the Arctic summer has important consequences for the surface layer of the Arctic Ocean. As sea ice cover recedes to record lows, as it did late in the summer of 2012, the seawater beneath is exposed to carbon dioxide, which is the main driver of ocean acidification. In addition, the freshwater melted from sea ice dilutes the seawater, lowering pH levels and reducing the concentrations of calcium and carbonate, which are the constituents, or building blocks, of the mineral aragonite. Aragonite and other carbonate minerals make up the hard part of many marine micro-organisms’ skeletons and shells. The lowering of calcium and carbonate concentrations may impact the growth of organisms that many species rely on for food. The new research shows that acidification in surface waters of the Arctic Ocean is rapidly expanding into areas that were previously isolated from contact with the atmosphere due to the former widespread ice cover. “A remarkable 20 percent of the Canadian Basin has become more corrosive to carbonate minerals in an unprecedented short period of time. Nowhere on Earth have we documented such large scale, rapid ocean acidification” according to lead researcher and ocean acidification project chief, U.S. Geological Survey oceanographer Lisa Robbins. Globally, Earth’s ocean surface is becoming acidified due to absorption of man-made carbon dioxide. Ocean acidification models show that with increasing atmospheric carbon dioxide, the Arctic Ocean will have crucially low concentrations of dissolved carbonate minerals, such as aragonite, in the next decade. “In the Arctic, where multi-year sea ice has been receding, we see that the dilution of seawater with melted sea ice adds fuel to the fire of ocean acidification” according to co-author, and co-project chief, Jonathan Wynn, a geologist from the University of the South Florida. “Not only is the ice cover removed leaving the surface water exposed to man-made carbon dioxide, the surface layer of frigid waters is now fresher, and this means less calcium and carbonate ions are available for organisms.” Researchers were able to investigate seawater chemistry at high spatial resolution during three years of research cruises in the Arctic, alongside joint U.S.-Canada research efforts aimed at mapping the seafloor as part of the U.S. Extended Continental Shelf program. In addition to the NOAA supported ECS ship time, the ocean acidification researchers were funded by the USGS, National Science Foundation, and National Oceanic and Atmospheric Administration. Compared to other oceans, the Arctic Ocean has been rather lightly sampled. “It’s a beautiful but challenging place to work,” said Robert Byrne, a USF marine chemist. Using new automated instruments, the scientists were able to make 34,000 water-chemistry measurements from the U.S. Coast Guard icebreaker. “This unusually large data set, in combination with earlier studies, not only documents remarkable changes in Arctic seawater chemistry but also provides a much-needed baseline against which future measurements can be compared.” Byrne credits scientists and engineers at the USF college of Marine Science with developing much of the new technology. Information on the most recent Arctic research cruise is available on online. Details of the surveys revealed that sea creatures adhere to a “complex mosaic of local climate velocities,” the researchers reported. On average, changes in temperature for North America moved north a mere 4.5 miles per decade, but in parts of Newfoundland that pace was a speedier 38 miles north per decade. In areas off the U.S. West Coast, temperatures shifted south at 30 miles per decade, while in the Gulf of Mexico velocities varied from 19 miles south to 11 miles north per decade. Animal movements were just as motley. As a whole, species shifted an average of 5 miles north per decade, but 45 percent of animal specific populations swam south. Cod off Newfoundland moved 37 miles north per decade, while lobster in the northeastern United States went the same direction at 43 miles per decade. On the other hand, pink shrimp, a staple of Gulf Coast fisheries, migrated south 41 miles per decade, the researchers found…Daniel Pauly, a professor of fisheries at the University of British Columbia, said that the researchers reveal finer details of marine movements that are crucial for preservation and commercial fishing, yet often get lost in the global-scale models typically used to predict how fish will respond to altered environs. Pauly is familiar with the Princeton research but had no role in it. Regional factors such as wind can actually counteract warmer water and result in cooler seas, as is the case off the coasts of California and Peru, Pauly said. In addition, fish are extremely sensitive to even slight temperature changes and will quickly seek ideal locales, which can appear like erratic shifts in distribution. Large-scale models based on global averages don’t reflect these nuances…. Skyscraper-sized waves recorded beneath the ocean. For the first time, scientists have recorded an enormous wave the size of a skyscraper breaking at a key location at the bottom of the South Pacific Ocean. Massive, historic, “biblical” rainfall cascaded through much of Colorado Thursday, leaving three people dead and one missing as of Thursday night as a result of the flooding. Up to 8 inches of rain fell across a hundred-mile expanse of Colorado’s Front Range, causing thousands to be evacuated as local streams turned into rampaging torrents. The heavy rains returned to the foothills region Thursday night, with more precipitation forecast for Friday. The National Weather Service issued constantly-updated versions of a local area forecast, and one at 9:41 a.m. MDT reported a dire warning: MAJOR FLOODING/FLASH FLOODING EVENT UNDERWAY AT THIS TIME WITH BIBLICAL RAINFALL AMOUNTS REPORTED IN MANY AREAS IN/NEAR THE FOOTHILLS…. By the end of the century, the Bay Area’s landscape could look more like Southern California’s, raising tough questions for land managers trying to preserve the region’s protected lands. ecologist Sasha Gennet, examining the small, dark leaves of a towering tree on the Blue Oak Ranch Reserve, part of the University of California Natural Reserve System. She pulls the branch down to eye level. “You can tell because they’re a little bit bluish or grayish,” she says. “They’re probably the hardiest of the oak species in the California. These are the ones that you see in those hottest, driest places, hanging on through the summer.” “But even these have their limits,” she adds, “and we’re starting to see what those limits are.”…. About a hundred miles north, UC Berkeley ecologist David Ackerly walks across a wooded hillside, pulling small orange and yellow flags out of the ground. Each marks a young tree….Ackerly and his field team are counting trees and gathering data inside a 60-by-60 foot research plot, one of 50 on the 3,000-acre Pepperwood Preserve in Sonoma County. “If you want to see the forest of the future, you look at the small plants,” he says. The plots will become a baseline for studying climate change, as the study team returns in five and ten years to document changes in the plant community and water availability. Change is what Ackerly expects to see, in the form of warmer temperatures, heat waves and more intense drought. “We know the direction things are moving and what we can expect is that our climate will be more like climates in Southern California,” he says. “So in 30 or 40 years, it might be like San Luis Obispo and in 60 or 70 or 100 years, it may become like Los Angeles.” That could lead to an expansion of plants more commonly found in Southern California, like chaparral, the dense shrubs and bushes that thrive in drier conditions. Ackerly says under some climate scenarios in the Bay Area, there could be twice as much land with conditions that favor chaparral…. After a record-breaking decline in the extent of summer sea ice on the Arctic Ocean last year, this year’s minimum has returned to levels that more closely track the long-term rate of decline that scientists have measured for at least 34 years…. Cold Pacific waters may be acting as a kind of global air conditioner – dampening the warming effects of greenhouse gases, according to a new study from the Scripps Institution of Oceanography in La Jolla. Forecasters predict that Hurricane Humberto will end the 2013 hurricane drought. The effects of climate change often happen on a large scale, like drought or a rise in sea level. In the hills outside Missoula, Mont., wildlife biologists are looking at a change to something very small: the snowshoe hare. Life as snowshoe hare is pretty stressful. For one, almost everything in the forest wants to eat you. Alex Kumar, a graduate student at the University of Montana, lists the animals that are hungry for hares. “Lynx, foxes, coyotes, raptors, birds of prey. Interestingly enough, young hares, their main predator is actually red squirrels.” Yes, even squirrels. Kumar and field technician Tucker Seitz spend months searching these woods for hares. ….Hares switch color in the spring and fall in response to light, when the days get longer or shorter. But that means they’re at the mercy of the weather. If the snow comes late, you get a white hare on brown ground. “And they really think that they’re camouflaged,” Kumar says. “They act like we can’t see them. And it’s pretty embarrassing for the hare.” Kumar calls this “mismatch,” and it’s becoming more of a concern with climate change. “If the hares are consistently molting at the same time, year after year, and the snowfall comes later and melts earlier, there’s going to be more and more times when hares are mismatched,” he says. Scott Mills of North Carolina State University leads the research. He says they’re finding that mismatched hares die at higher rates. That’s a concern for the threatened Canada lynx, which mainly eats these hares…. This month, the world will get a new report from a United Nations panel about the science of climate change. Scientists will soon meet in Stockholm to put the finishing touches on the document, and behind the scenes, two big fights are brewing. In one case, we have a lot of mainstream science that says if human society keeps burning fossil fuels with abandon, considerable land ice could melt and the ocean could rise as much as three feet by the year 2100. We have some outlier science that says the problem could be quite a bit worse than that, with a maximum rise exceeding five feet. The drafters of the report went with the lower numbers, choosing to treat the outlier science as not very credible. In the second case, we have mainstream science that says if the amount of carbon dioxide in the atmosphere doubles, which is well on its way to happening, the long-term rise in the temperature of the earth will be at least 3.6 degrees Fahrenheit, but more likely above 5 degrees. We have outlier science that says the rise could come in well below 3 degrees. In this case, the drafters of the report lowered the bottom end in a range of temperatures for how much the earth could warm, treating the outlier science as credible…. Arctic sea ice volume collapsed from 1979 to 2012, several decades ahead of what the climate models had predicted. Recent changes in spring ice thickness as measured by CryoSat. “CryoSat continues to provide clear evidence of diminishing Arctic sea ice…. there has been a decrease in the volume of winter and summer ice over the past three years. debunked. And everyone’s favorite short-term, two-dimensional thinker, Judith Curry, tells the Wall Street Journal that the main significance of this year’s rebound in sea ice area is that “the narrative of the ‘spiral of death’ for the sea ice has been broken.” Seriously!…. Explore the world’s new coastlines if sea level rises 216 feet. The maps here show the world as it is now, with only one difference: All the ice on land has melted and drained into the sea, raising it 216 feet and creating new shorelines for our continents and inland seas. West Nile virus season to last longer as climate changes. September 9, 2013 Climate Central New research provides doses of good and bad news about how a changing climate will affect the southern house mosquito, the main mosquito transmiting West Nile across the southern tier of the United States. Warming climate begins to taint Europe’s blood supplies. A whole new set of ungovernable pathogens are being loosed on the world’s blood supplies. A warming climate has allowed blood-borne tropical diseases to flourish where once they were unheard of, and they’re getting around. In southern Louisiana, the coast is moving. The sea is overtaking the land – pretty fast, too. And while you often hear people invoke the rich cultural heritage as a reason to save the region, there’s a lot of rich oil and gas companies that would like protection, too. The average temperature for the contiguous U.S. during the summer season (June-August) was 72.6°F, 1.2°F above the 20th century average. The average August temperature was 73.1°F, 1.0°F above the 20th century average – the 28th warmest August on record for the Lower 48. The total summer precipitation averaged across the contiguous U.S. was 9.53 inches, 1.28 inches above average and the wettest summer since 2004. The August national precipitation total was slightly above average at 2.63 inches. Andrew Satter is the Senior Video Producer at the Center for American Progress. GRANTS PASS, OREGON — Deep in the dense forest of Southwest Oregon, 25 miles from this old logging town, tendrils of smoke billow from a charred valley below. To my left sits a copse of 40-year old Douglas Fir, burned to the crowns. The air smells of day-old campfire. The smoke plume is what remains of a handful of late-July lightning fires that scorched nearly 75,000 acres of this remote forest, sandwiched between I-5 and the Oregon coast. By now, the burning of the American West is familiar news. People frequently associate massive wildfires raging for weeks on end with the more arid and drought-stricken Southwest but in recent years, even the traditionally wetter Pacific Northwest has seen an increase in fire activity. According to the U.S. Drought Monitor, a compilation of climate and weather data from the National Weather Service and the National Oceanic and Atmospheric Administration, all but the Northwest corner of the state is mired in conditions ranging from abnormally dry to severe drought. That has made for a particularly devastating fire season. While Oregon has seen large fires in the past, the trend toward hotter, drier conditions — and greater risk of wildfires — is clear. As of September 10, Oregon’s state-protected lands have seen a ten-fold increase in acreage burned over the 10-year average. Throughout the entire state, more than 230,000 acres have burned. Last year was even worse — in 2012, nearly 1.3 million acres burned statewide. MELBOURNE, Australia — Since coming to Australia almost two months ago I’ve heard about Clive Hamilton in the process of reporting just about every story I’ve done. Then I picked up his new book Earthmasters: The Dawn of the Age of Climate Engineering and now I see what all the fuss is about. In all of the debates over how to address climate change, climate engineering — or geoengineering — is among the most contentious. It involves large-scale manipulation of the Earth’s climate using grand technological interventions, such as fertilizing the oceans with iron to absorb carbon dioxide or releasing sulfur into the atmosphere to reduce radiation. While its proponents call geoengineering a silver bullet for our climate woes, its skeptics are far more critical. Joe Romm, for one, likens geoengineering to a dangerous course of chemotherapy and radiation to treat a condition curable through diet and exercise — or, in this case, emissions reduction…..
by all parties is encouraged. Meeting locations and dates listed below. NY Times: Did Denier ‘Intimidation Tactics’ Move IPCC To ‘Lowball’ Sea Level Rise And Climate Sensitivity? The New York Times has a must-read article on how and why the Intergovernmental Panel on Climate Change “seems to be bending over backward to be scientifically conservative” in its forthcoming assessment. Climate Progress has explained many times why the IPCC’s Fifth Assessment Report (AR5) is “an instantly out-of-date snapshot that lowballs future warming because it continues to ignore large parts of the recent literature and omit what it can’t model.” For instance, we have known for years that perhaps the single most important carbon-cycle feedback is the thawing of the northern permafrost. The AR5′s climate models completely ignore it, thereby lowballing likely warming this century. 2013-09-08 12:44 Majuro – A new Pacific regional pact calling for aggressive action to combat climate change has achieved a “major accomplishment” by gaining US support, officials said on Sunday. By Jeff Goodell Rolling Stone September 12, 2013 7:00 AM ET On September 27th, a group of international scientists associated with the Intergovernmental Panel on Climate Change will gather in an old brick brewery in Stockholm and proclaim with near certainty that human activity is altering the planet in profound ways. The IPCC’s Fifth Assessment Report offers slam-dunk evidence that burning fossil fuels is the cause of most of the temperature increases of recent decades, and warn that sea levels could rise by almost three feet by the end of the century if we don’t change our ways. The report will underscore that the basic facts about climate change are more established than ever, and that the consequences of escalating carbon pollution are likely to mean that, as The New York Times recently argued, “babies being born now could live to see the early stages of a global calamity.” A leaked draft of the report points out that the link between fossil-fuel burning and climate change is already observable: “It is extremely likely that human influence on climate caused more than half of the observed increase in global average surface temperature from 1951 to 2010. There is high confidence that this has warmed the ocean, melted snow and ice, raised global mean sea level and changed some climate extremes in the second half of the 20th century.” If you look beyond the tables and charts and graphs that fill the reports, you can see the Arctic vanishing, great cities like Miami and Shanghai drowning, droughts causing famine in Africa, and millions of refugees fleeing climate-related catastrophes. Rajendra Pachauri, the head of the IPCC, recently told a group of climate scientists that if we want to avoid this fate, governments must act now to cut carbon pollution: “We have five minutes before midnight.”…. NOAA concluded in 2011 that “human-caused climate change [is now] a major factor in more frequent Mediterranean droughts.” Reds and oranges highlight lands around the Mediterranean that experienced significantly drier winters during 1971-2010 than the comparison period of 1902-2010. With our country facing tough choices about Syria, Moyers & Company’s John Light had a great piece on Friday: “Drought Helped Spark Syria’s Civil War — Is it One of Many Climate Wars to Come?” He interviewed one of our favorites, Francesco Femia, co-founder of the Center for Climate and Security, which has an advisory board of retired military commanders and foreign-policy experts…..
Tammy VerCauteren is the executive director of Colorado-based Rocky Mountain Bird Observatory. John W. Fitzpatrick is director of the Cornell Lab of Ornithology. There are few aerial acrobatic performers like the McCown’s longspur. A bird of the eastern Colorado prairie, longspurs rise up out of the grass with deep strokes of their wings, elevating higher and higher until they throw their wings back and glide, unleashing a crystal clear warbling song as they float back down to earth. It’s a spectacular sight, and it’s one that’s disappearing. The McCown’s longspur population has plummeted by an estimated 92 percent in the past 45 years. Those longspurs that are left are heavily dependent on farmers and ranchers, according to the recently published State of the Birds 2013 report, co-authored by 15 bird conservation organizations and agencies including Rocky Mountain Bird Observatory and the Cornell Lab of Ornithology. Almost three-quarters of the remaining McCown’s longspur population resides on private lands. A recurring theme in the report is the important role of America’s private landowners in safeguarding bird habitat. Altogether, more than 100 bird species have more than half of their population distribution on America’s 1.43 billion acres of private land. And there’s no program more critical to preserving bird habitat on private lands than the farm bill….. Most Californians (79%) believe global warming is happening, while only 11% believe it is not. Over half (58%) believe that if global warming is happening, it is mostly due to human activities. A majority (55%) also believes that most scientists think global warming is happening. Global warming is already having an influence on the severity of heat waves (96%), wildfires (91%), and droughts (90%) in California. Over the next 50 years, climate change will cause more heat waves (93%), droughts and water shortages (92%), declining numbers of fish and native wildlife (91%), increased allergies, asthma, infectious diseases, or other health problems (86%), and more power outages (84%) in the state. Six in ten want more action by Governor Brown, the state legislature, and local government officials. Even more say corporations and industry (73%) and citizens themselves (70%) should be doing more to address the issue. The Leadership Summit is organized annually by the U.S. Water Alliance’s Urban Water Sustainability Council. Through this Leadership Summit the Council seeks to connect the dots among water, land use, parks, forests, transportation, energy, and other sectors around a goal of revitalizing cities with multi-benefit projects that produce triple bottom-line results. The San Francisco Bay National Estuarine Research Reserve is excited to announce this upcoming workshop! This webinar will take a detailed look at resilience planning at one of the world’s leading forestry companies. Sara Kendall will discuss Weyerhaeuser’s strategic initiatives, opportunities, and challenges for building resilience to the impacts of a changing climate on forestry and land use. The RWI Coordinator assists the RWI Director by facilitating RWI operations including managing Partner Biologist hiring efforts, assisting in the development and implementation of training curricula and workshops, and managing program reporting, budgeting, scheduling, logistics and communications, among other responsibilities. The RWI Coordinator will be based out of the Chico office. This is a unique opportunity for the qualified candidate to play a key role in a significant conservation effort that will be a model for other rangeland management efforts nationally and globally. To apply please email resume with cover letter to wgilgert@pointblue.org by September 16th, 2013. Please put “Rangeland Watershed Initiative Coordinator” in the subject line. For additional information about Point Blue and highlights of current programs, see www.pointblue.org. Sustainable Conservation is seeking an experienced and entrepreneurial Regional Director to oversee our Modesto office and our initiatives in the San Joaquin Valley that seek environmental solutions that make economic sense. The Regional Director will lead Sustainable Conservation’s new effort to find a regional solution to address the environmental impact of dairies while providing profitable revenue streams and/or avoiding costs for the industry. In addition, the Regional Director will partner with our team on promoting on-farm practices to reduce dairies’ groundwater contamination and contribution to air pollution and on expanding our groundwater recharge initiative in the San Joaquin Valley. This is an excellent opportunity for a strategic and collaborative professional committed to healthy environment and healthy economy in the San Joaquin Valley. The full job description is attached and can be found at http://www.ceaconsulting.com/what/position_details.aspx?client=CEA&jobId=231. Sierra Forest Legacy is seeking a Wildlife Ecologist to provide technical support to our forest conservation and restoration program. Sierra Forest Legacy engages citizens, communities, and coalition members in the healthy management of Sierra Nevada forest ecosystems to protect and restore the region’s natural values and unparalleled beauty. We apply the best practices of science, advocacy and grassroots organizing to safeguard national forest lands throughout the Sierra Nevada. The Wildlife Ecologist joins a team of science and policy experts to develop and promote science-based conservation strategies on national forests in the Sierra Nevada. The position is responsible for providing professional wildlife expertise in the protection, management, and improvement of wildlife and wildlife habitat. The position is open until filled. Review of applications begins September 23, 2013. Sierra Forest Legacy, a project of the Tides Center, Thoreau Center for Sustainability, San Francisco, California, is an equal opportunity employer. The full job announcement is available at http://www.sierraforestlegacy.org/Resources/WildlifeEcologist_8-30-13.pdf. Even as California reels from drought, fracking companies are lusting after the state’s oil-infused shale. At a time when the fracking industry is eyeing California’s Monterey Shale formation, state residents are already in the midst of a drought and subsequent water war that’s led to water theft between communities, a dilemma that’s gone so far as to shut down a Eureka, Calif. elementary school. The school’s water supply was stolen during the state’s drought, representing a phenomenon common as residents aim to fill their own tanks. “There were tire tracks in the field on the south side of the school,” Humboldt County Sheriff’s Office Lt. Steve Knight told the Times Standard. “The school staff believes someone climbed the fence, and used a school garden hose to drain the tank.” Without water, the school had to close its doors — and while it’s an unexpected scenario, experts say it’s a trend that’s likely to continue. Residents throughout the state’s Central Valley, home to California’s agricultural industry, have already seen their wells go dry. Cases like that aren’t stopping state legislators from moving ahead with Senate Bill 4, sponsored by Sen. Fran Pavley (D). The bill is portrayed as one intended to regulate the fracking industry, but in reality, it gives the industry a green light to begin the process without environmental review, which would identify threats to local water sources. “Senate Bill 4, already a seriously flawed bill, has been further undermined and does not protect Californians from the threats that fracking poses to our water, air and communities,” Adam Scow, California campaign director for Food and Water Watch, said in a press release. “It’s time for Senator Pavley to drop this bill.” “Water levels are dropping dramatically in some areas,” Steven Arthur, vice president for Arthur and Orum Well Drilling, told the Sacramento Bee. “It’s never been this bad.” According to the U.S. Geological Survey, California’s San Joaquin Valley, along with the Central Coast and Southern California areas are in crisis mode, as more water is being drawn from groundwater supplies than the amount of water entering the system. The desperation expressed in the state’s water wars doesn’t bode well for the oil and gas industry, eager to put down the welcome mat for fracking operations…..
A new study by an environmental group suggests that reining in a handful of America’s coal-fired power plants would have a major impact on greenhouse gas emissions. Fifty US power plants emit more greenhouse gases from burning fossil fuels than all but six nations, says a new report. The study by Environment America paints a bulls-eye on the nation’s biggest coal-fired power plants, suggesting that reining in a relatively small share of America’s 6,000 electric generating facilities could have a significant impact on greenhouse gas emissions. The report comes as the Obama administration is preparing the nation’s first-ever greenhouse gas emissions regulations for US power plants, which could be released as soon as this month. The administration’s goal is to have power plant emissions regulations in place by 2015, and the new study provides a window into which plants could face steep federal fines unless they slash emissions or close. MELBOURNE, Australia — Melbourne is a sprawling network of neighborhoods, trams, trains, bikes, laneways and, around almost every corner, coffee shops — a bit like Portland, Oregon but bigger, more European feeling and with giant bats. There are tall skyscrapers, Robert Moses-era public housing blocks, dense row houses, overgrown bungalows and suburban complexes. Over 15 years ago, Melbourne mounted a long-term campaign to change the way it uses energy and has attracted international acclaim for its commitment to sustainability. This has included encouraging bike riding and public transport and improving building efficiency. One notable example of this is the Council House 2 building, Australia’s first six-star green star new office design building. Completed in 2006, some of the building’s features include recycled water use, automatic windows, sun-tracking facades for shade and roof-mounted wind turbines to draw out hot air. Oil industry touts $81B in carbon-cutting efforts. Sept 10 2013 Houston Chronicle The oil and gas industry’s largest trade group touted the sector’s investments in cleaning up greenhouse gas emissions, saying energy companies are doing more than the federal government to rein in the climate pollution. Solar panel is next granite countertop for homebuilders. Sept 10 2013 Bloomberg News Solar panels are the next granite countertops: an amenity for new homes that’s becoming a standard option for buyers in U.S. markets. Billionaire U.S. investor Tom Steyer said he is backing a four-part, $1 million advertising campaign aimed at convincing viewers the Keystone XL pipeline will hurt the economy and communities and should be blocked. The first commercial, airing today during the political talk shows, features Steyer in Port Arthur, Texas, saying much of the oil to be shipped from Alberta to refineries along the U.S. Gulf Coast would end up being exported. “Foreign countries will get more access to more oil to make more products to sell back to us, undercutting our economy,” Steyer, founder of the hedge fund Farallon Capital Management LLC, says in the advertisement. “Here’s the truth: Keystone oil will travel through America not to America.” Steyer’s commercials begin airing two months after the American Petroleum Institute, whose energy-industry members back the pipeline, started TV and online advertising portraying Keystone as a boon to job growth in the U.S…. Steyer preparing for the battles ahead – close to home and from coast to coast. Accomplishing that goal is bound to involve close work alongside the pantheon of environmental nonprofits that maintain a presence in Washington, D.C., from old-line players like the League of Conservation Voters to the younger, new-school groups led by 350.org. Steyer has walked in step with many in both camps from time to time but expressed no interest in remaking other nonprofits to fit the template of political savvy and grass-roots energy that he is working to create. “There are a bunch of people who are incredibly knowledgeable about what goes on inside the Beltway, some of whom I admire a lot and respect a lot,” Steyer said. “I’m not one of those people.” Still, some of his closest advisers have considerable Beltway experience, from former Center for American Progress Vice President Kate Gordon to ex-Clinton administration strategist Chris Lehane. “We believe that coalition is an enormous part of this, that the so-called environmental coalition has been far too small and far too narrow,” Steyer said. “I wouldn’t for a second want to change people, but I certainly want to partner with them, and I certainly want them to help us,” he said. Could life have survived a fall to Earth? About half of all Americans take a daily multivitamin as a way to improve their health and cut their risk of diseases. But experts now say that – in almost all cases – the best way to get a full dose of vitamins is from nutritious foods rather than from pills. There is a lot of scientific evidence showing diets rich in produce, nuts, whole grains and fish promote health and decrease risk of heart disease, stroke, diabetes and cancer, according to a new “Vitamins and Minerals” report from Harvard Medical School. On the other hand, studies involving vitamin supplements – and there have been many – show mixed results. In fact, after reviewing a large body of research in 2006, the National Institutes of Health decided not to definitively rule for or against multivitamins’ ability to prevent diseases…. ….Liu presents the findings to the American Chemical Society’s 246th National Meeting & Exposition this week. Their results show that oil content in the coffee-derived biodiesel meets official biofuel standards. There is room for improvement in how efficient using the spent grounds to purify the biodiesel actually is, especially compared with commercial products normally used to purify the fuel. The researchers would like to make the process more efficient, but the fact that otherwise-wasted coffee could be used to create biofuel is promising. And compared with fossil fuels, this biofuel seriously cuts the emissions of traditional pollutants. Around 1 million tons of coffee grounds are thrown out in America each year, and most go into landfills. I used to assume that all greenbelts were peaceful, quiet oases—and they probably are in many parts of the country. Not so in Marin County, Calif. I know because my property abuts such an open space. A year ago, I thought it a brilliant purchase. Especially since a charming, creek-side writer’s cottage was grandfathered into the property. (I’m reluctant to call it an “in-law unit,” since those structures invariably attract in-laws.) I could no longer cope with the cacophony of city living. The idea was to find a solitary setting to (finally) finish my screenplay. Not “Starbucks solitary,” but somewhere truly isolated and quiet. After months of searching, I seemed to have found the serenity I was looking for: Walden with Wi-Fi. Resplendent with trees, meadows and wildflowers. It was like moving into a giant screen saver. It was perfect. Or so I thought…. DNA research on frozen woolly mammoths has found evidence which suggests climate change had a far more significant impact on the animals’ extinction than previously thought. The Voyager-1 spacecraft has become the first manmade object to leave the Solar System. Scientists say the probe’s instruments indicate it has moved beyond the bubble of hot gas from our Sun and is now moving in the space between the stars. Launched in 1977, Voyager was sent initially to study the outer planets, but then just kept on going. Today, the veteran Nasa mission is almost 19 billion km (12 billion miles) from home. This distance is so vast that it takes 17 hours now for a radio signal sent from Voyager to reach receivers here on Earth. “This is really a key milestone that we’d been hoping we would reach when we started this project over 40 years ago – that we would get a spacecraft into interstellar space,” said Prof Ed Stone, the chief scientist on the venture. “Scientifically it’s a major milestone, but also historically – this is one of those journeys of exploration like circumnavigating the globe for the first time or having a footprint on the Moon for the first time. This is the first time we’ve begun to explore the space between the stars,” he told BBC News. Sensors on Voyager had been indicating for some time that its local environment had changed.